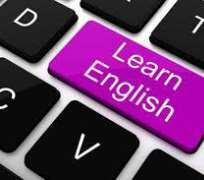 Many times when you call the attention of second language speakers of English to the grammatical faults in their speeches or writings, they are quick to tell you such misuses are mistakes. The word "mistake" seems like a very good abode to hide when we goof in our use of English. Have you ever heard anyone openly say she or he made an error? It is not a word we want to associate ourselves with but truthfully, most times when we claim to have made a mistake, it is usually an error we have just made. So, how are they different? Every language has its grammar. Grammar can be defined as the rules that guide the appropriate usage of a language. When we use a language in conformity with the laid down rules of such language, we say our utterances or sentences are grammatical and when we do not adhere to the rules of usage, we generate ungrammatical sentences. Although grammaticality does not always result in the acceptability or meaningfulness of utterances (see Radford 2004; Lamidi 2008), the knowledge of how words are put together to generate permissible utterances is a prerequisite for communicative competence, whether this is intuitively acquired or through the mastery of rules. It is I who is wrong. Either the boys or the girl are coming today. Either the boys or the girl is coming today. Mistakes, on the other hand, are deviations in learner language that occur when learners fail to perform their competence (Corder 1967). In other words, a speaker who makes a mistake has a mastery of the language but goofs in using the language usually due to psychological factors such as anxiety, fear and so on. Mistakes reflect processing problems and not mastery. In computer-mediated-interactions and social media interactions also, typographical issues too can be regarded as mistakes. English, like all other languages, is systematic. This implies that it is rule governed and either through spontaneous acquisition which is the case with native speakers or through learning which is the case with most second language speakers of English (Nigerians inclusive), users of the language must strive to master the rules so as minimise their errors in the language. In conclusion, errors are avoidable; mistakes are inevitable. Ellis, R. (2008). _The Study of Second Language Acquisition_. 2nd ed. Oxford: OUP. Lamidi, M.T. (2008). _Aspects of Chomskyan Grammar_. 2nd ed. Ibadan: University Press PLC. Radford, A. (2004). _English Syntax: An Introduction_. Cambridge: Cambridge University Press.